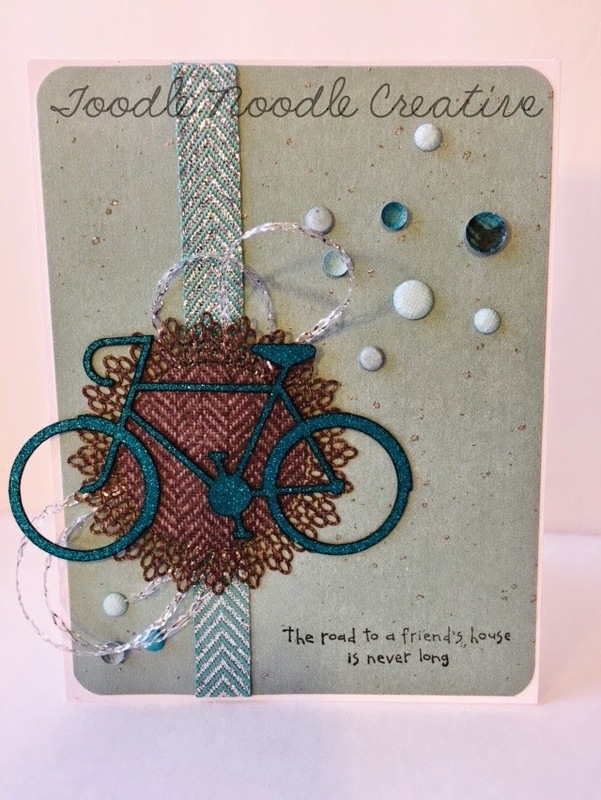 Welcome to the Blog Hop for The Robin's Nest! Hop along and you will find ideas, inspiration, tips and tricks...and you may even be a lucky winner! Each participant along the way will choose a winner by Friday. That means you have a lot of chances to win! You must comment on this blog post, and all other blog posts in the hop to be qualified. Let's get to it! Since the theme for the hop is recipes, I needed to do a project that would be appropriate for the theme. Of course, I had to tweak it a little bit. This project could be used for recipes, journaling, photos, etc. Just erase the chalk title on the front and change it to whatever you would like! 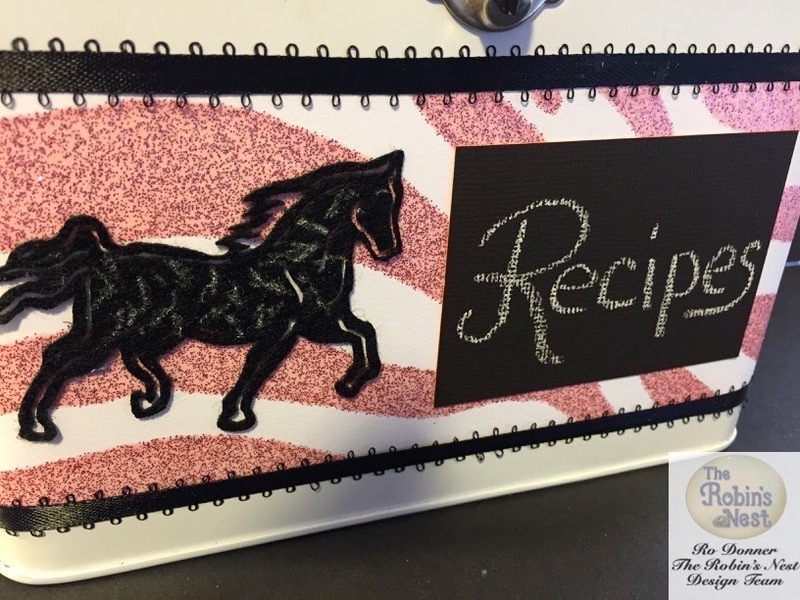 I have had this recipe tin for EONS! I think I got it at Michaels for a couple bucks. 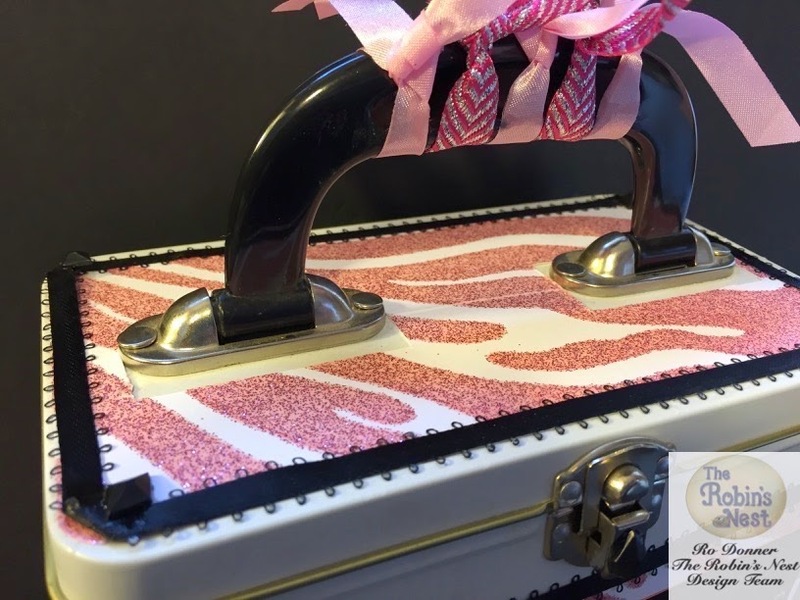 I started out by cutting two strips of the Pink Zebra Print Glitter paper. Using some strong adhesive tape, I adhered it around the tin. I also cut a piece for the top and adhered that as well. I added some ribbon trim to the tin around the glitter paper. On the top, I used Black Diamond Dew Drops for accents, and added one to the latch on the front as well. I used some of the beautiful new Rosy Ribbons on the handle. 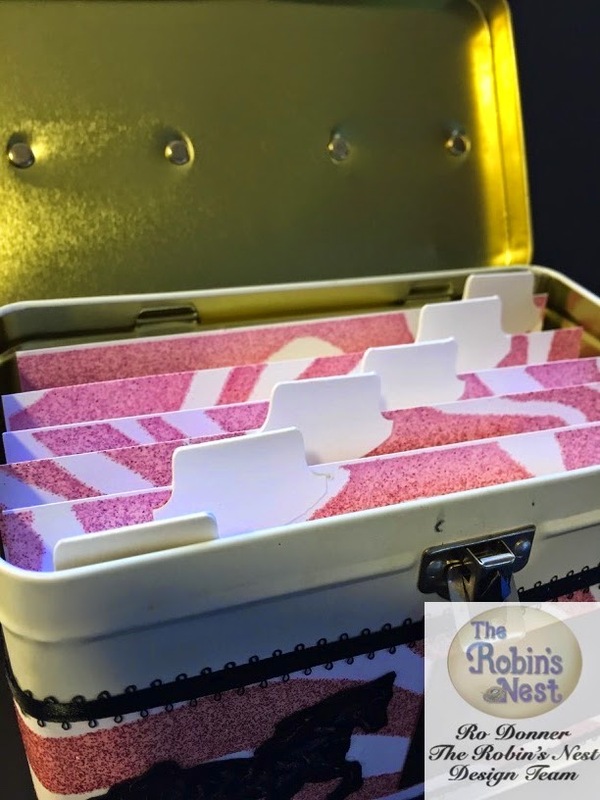 For dividers on the inside, I cut more of the Pink Zebra and added some white tabs cut with a punch from Stampin' Up!. I left them blank so that the user of the tin can decide how they want their items divided...be it for photos, recipes, notes, etc. And as I was going through my stash, I found this adorable felt horse which I thought looked totally cute like a zebra. 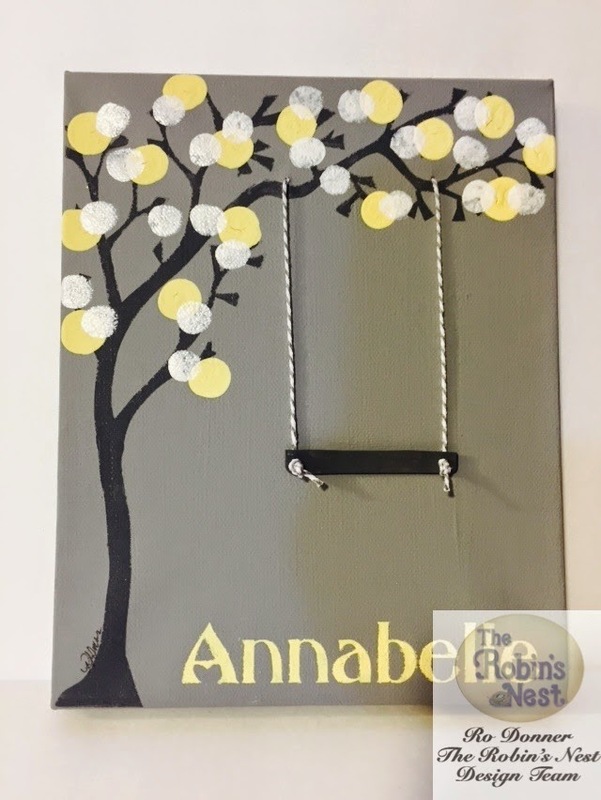 I added a little white lines to tie it in and attached it to the front of the tin along with a black chalkboard swatch. Hope you enjoyed the post today. Now head on over to The Robin's Nest and join in the hop! I'm posting today for The Robin's Nest, so I hope you join us there! I woke up at 4AM with this card idea and sketched it on my iPad so my feeble brain would remember it when I had time to do my project! I love how it turned out! Now tell me, is that paper not the PERFECT pattern for those boots? If you would like the full details and more photos, head on over to Chattering Robins for my full post. Thanks for letting me share with you. One thing before I go...just want to remind you of the blog hop the end of this month! It will be great fun and I hope you will join us! 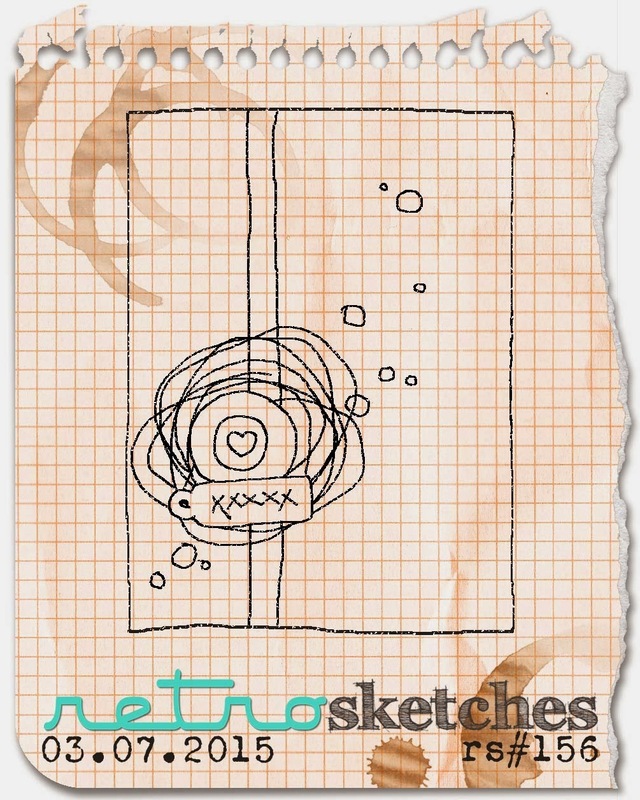 Playing Along with Retro Sketches! 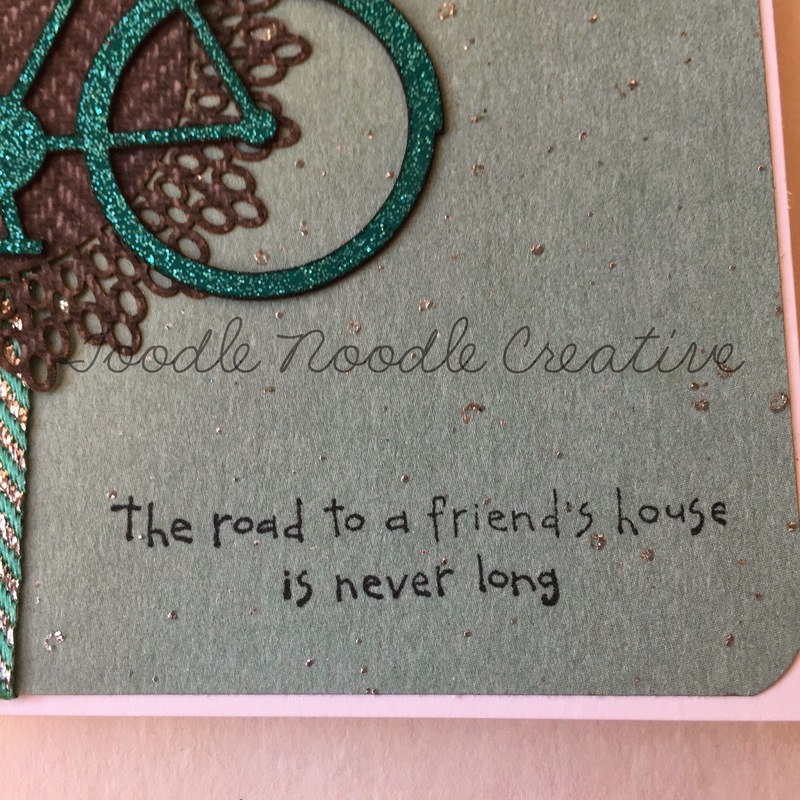 My first crafting love is making cards. 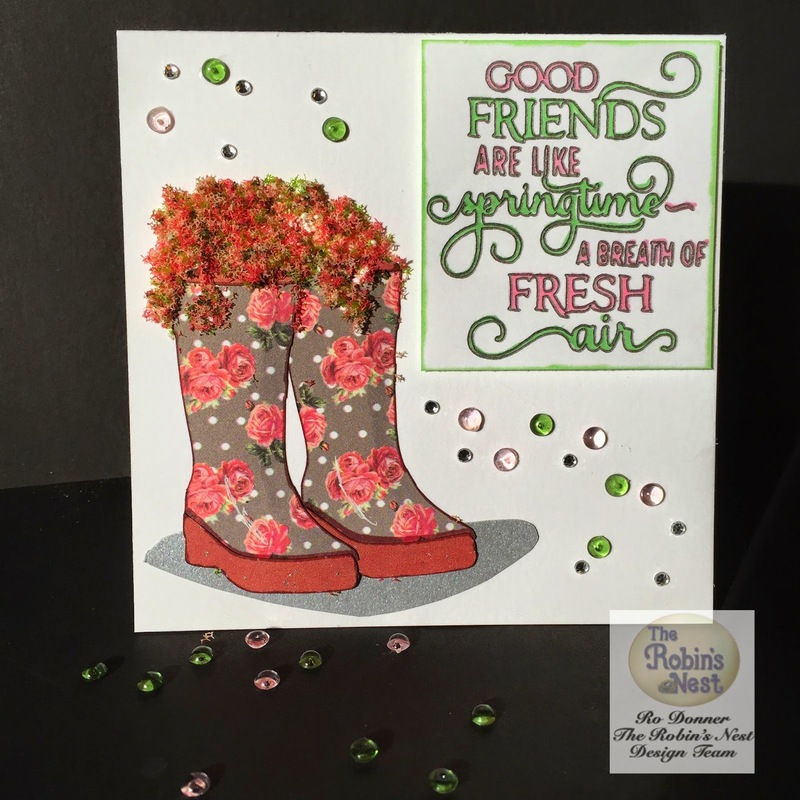 Two things that I love using when making cards are sketches and Robin's Nest products. The marriage of these two made for a great card that I am entering in the Retro Sketches Challenge #156. 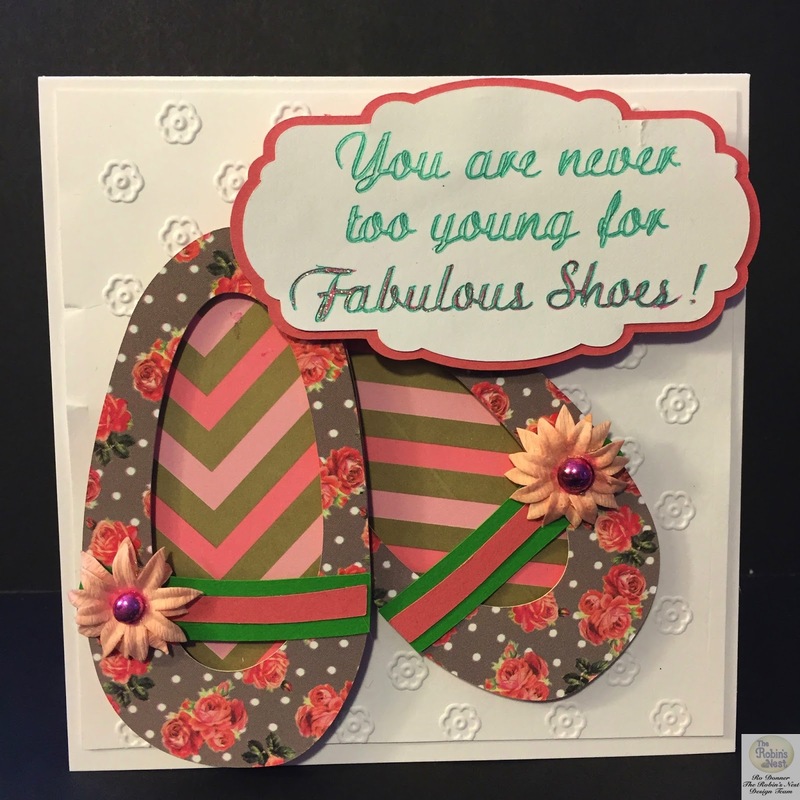 And here is the card I made. I was actually making it for a future Design Team project for The Robin's Nest, but I just had to use it now! 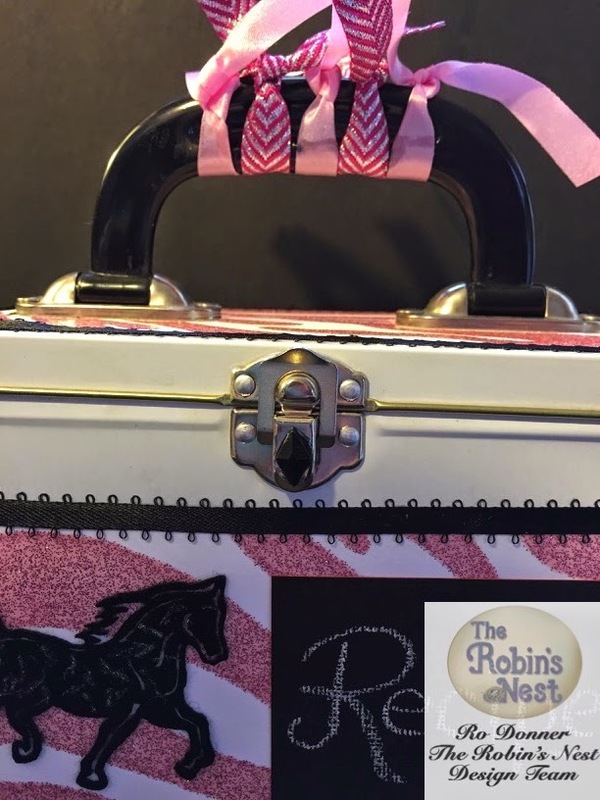 The Robin's Nest has some awesome new products and I was happy to be able to play with them. 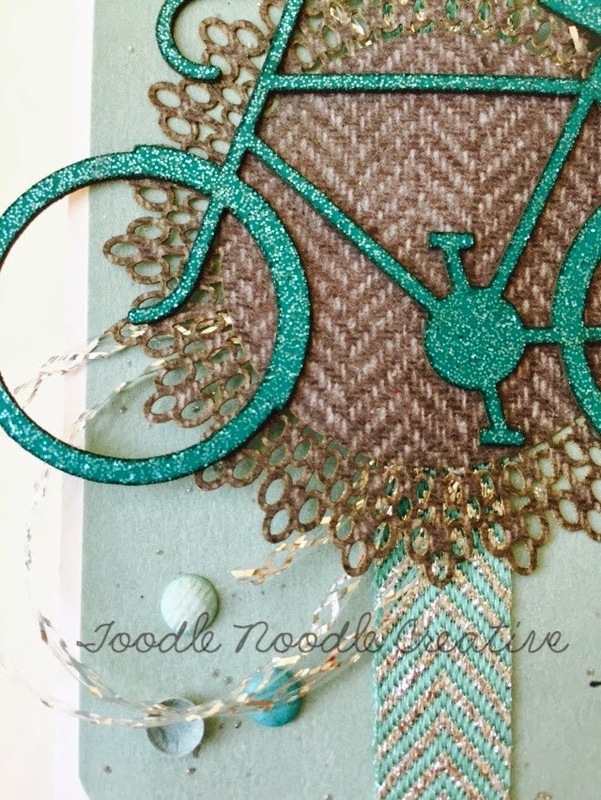 Love all the glitter in the cardstock and funky new paper dots. Not to mention the gorgeous new ribbons they carry! 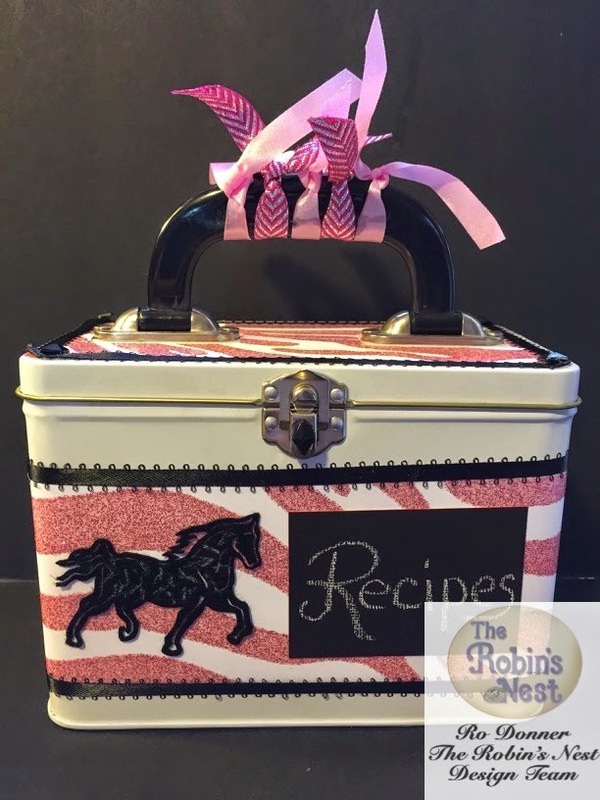 If you'd like to order any of these supplies, head over to The Robin's Nest. Hope you enjoy my extra post and can get some fun inspiration here. Marilyn Monroe said, "Give a girl the right shoes and she can conquer the world." And since that's the theme over at The Robin's Nest, I designed this card for my BFF's daughter who just had a baby girl. 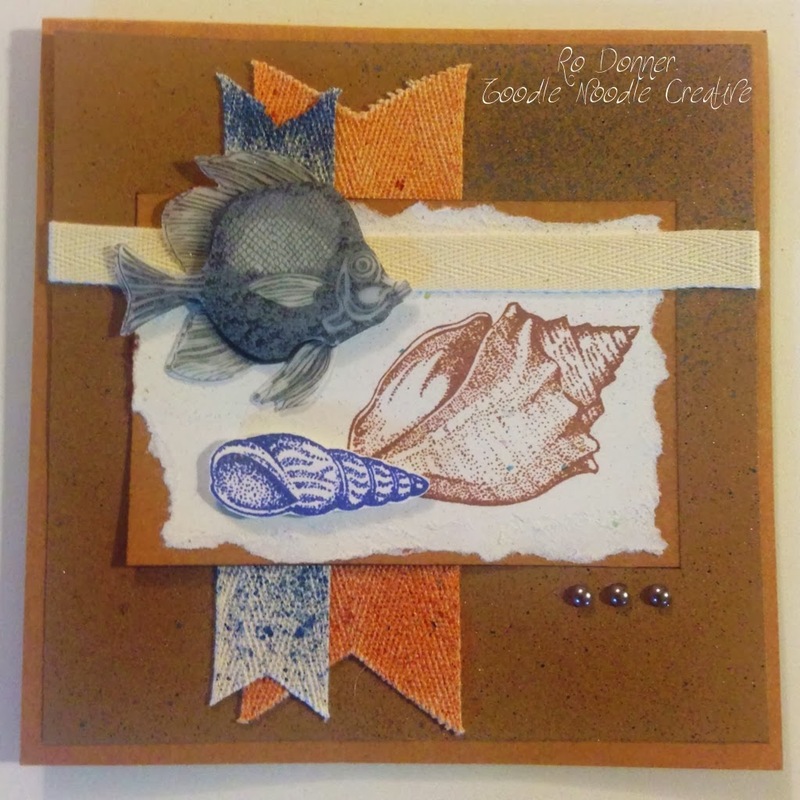 All the details can be found on the Chattering Robin's Blog. I also wanted to share the commissioned canvases I recently did for the new mama. She had a specific design and color scheme, and this is what I came up with! I have to admit, it was totally out of my comfort zone. So I did this small one first to get a feel for it. Since I was happy with that one, I then did the two 16"x20" canvases. I think they turned out pretty good. She was thrilled with them. And I was happy I tried and succeeded with something new. 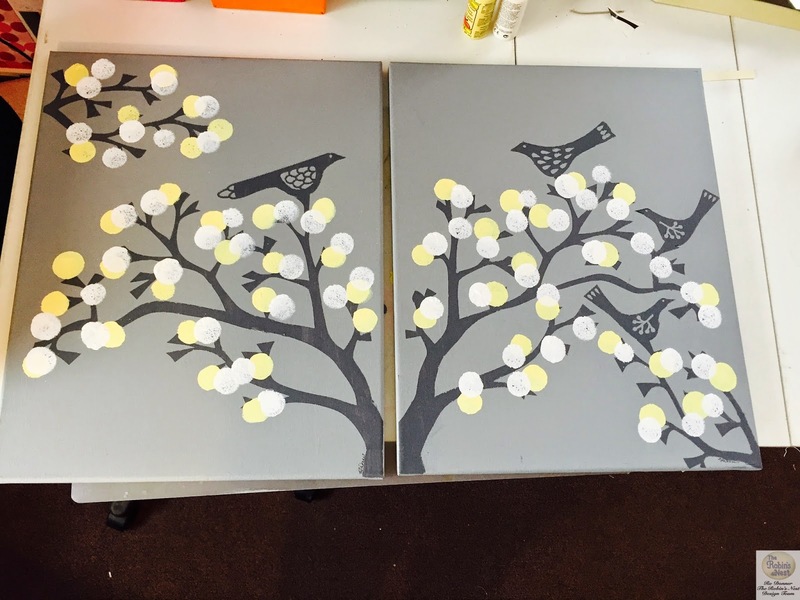 My point is, never be afraid to step out of your comfort zone with your crafting. 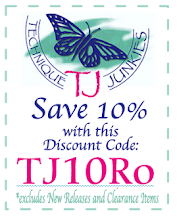 You may even surprise yourself! 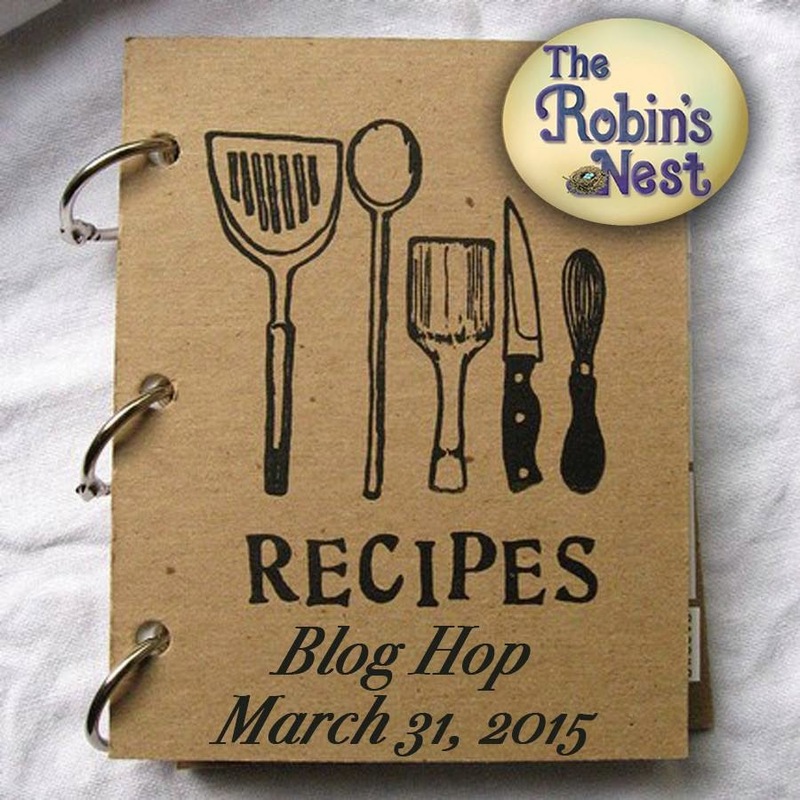 The Robin's Nest will also be doing a blog hop at the end of this month, so mark your calendar!